Shiva Sabet-Kazilas ’13 couldn’t just resign from her job in Iran. Her supervisor wouldn’t allow it until her visa was in hand and she was prepared, with certainty, to leave for Pacific Lutheran University. “For over 30 years, religious oppression and harassment have been a part of my family’s life,” she said. Sabet-Kazilas, a member of Baha’i faith, faced marginalization in her home country dating back to kindergarten. Baha’i followers there experience pervasive persecution at the hands of their own government. They are denied employment and access to education, and they endure ransacking of their homes and wrongful imprisonment, among other institutional abuses. Only after she was cleared to leave for the U.S. in 2011 did Sabet-Kazilas learn that the government had threatened her employer several times, urging the company to fire her and two other Baha’i employees. The MFT program trains students to become systemically oriented and contextually sensitive, to address the diverse clinical needs of individuals, couples, families and communities. 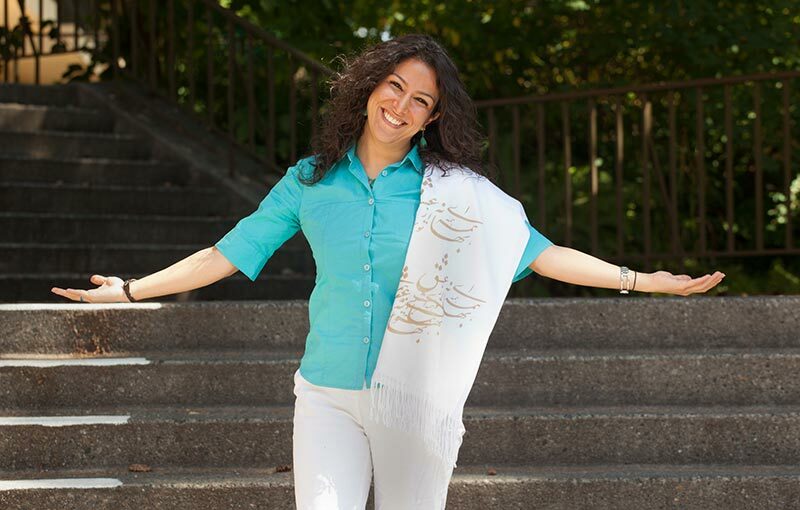 Sabet-Kazilas, now a graduate of PLU’s Marriage and Family Therapy program, found solid ground and is building on it. She has a baby with her husband, Ignas Sabet-Kazilas ’14, and is working to start a private practice. 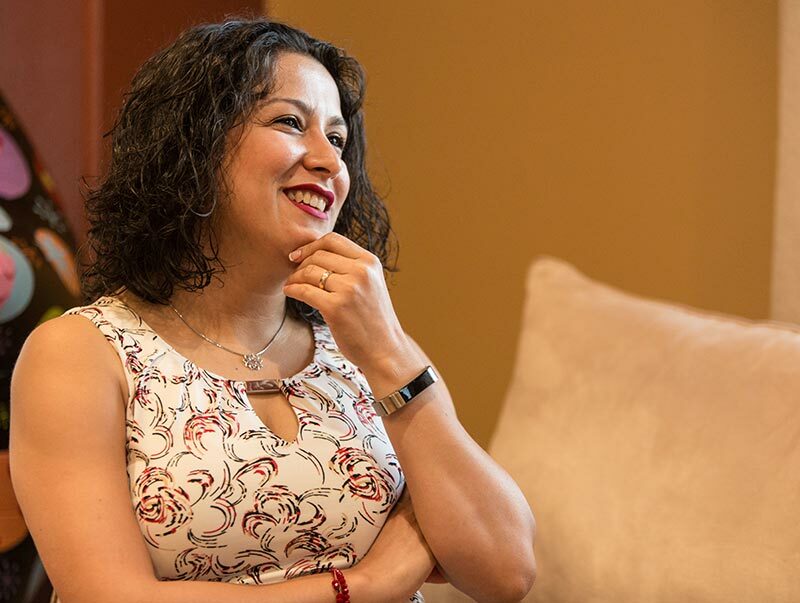 She wants to serve refugees and immigrants, as they navigate the trauma of their own marginalization in the U.S.
Sabet-Kazilas says gaining graduate-level admission to PLU represented years of hard work and resilience. She graduated in 2008 with a degree in psychology from the Baha’i Institute for Higher Education, which was founded in 1987 in response to the Iranian government’s campaign to block Baha’i followers from pursuing higher education. She earned a bachelor’s degree despite a lifetime of intimidation in Iranian primary schools. Even after all she had overcome, though, getting into PLU’s graduate program wasn’t the end. Sabet-Kazilas was in disbelief as she contemplated what came after the acceptance letter and “generous scholarship offer,” she said. Still, Sabet-Kazilas embraced her decision to become a Lute. She traveled to the U.S. embassy in Dubai to apply for a visa, just a few short months before she was due on campus in August. When July came and the visa didn’t, Sabet-Kazilas doubted her dream of becoming a therapist would be realized. PLU graduate admission staff emailed the embassy on her behalf and uncovered the long-lost visa, just 10 days before orientation began. Shiva Sabet-Kazilas '13 at international student orientation in 2011. “It was a marathon at that point,” Sabet-Kazilas said, laughing. Buying a replacement airline ticket for the one she canceled. Compiling a list of essentials. Gathering essentials at stores unfamiliar to her upon her arrival. Setting up bank and cellphone accounts. After it was all said and done, Sabet-Kazilas sat in an empty Red Square, quietly reflecting on the journey. “The reality hit me hard,” she said. Sabet-Kazilas’ desire to come to the U.S. grew out of her desire to serve other marginalized Iranians. She worked with underprivileged populations back home, teaching life skills and empowering young people. She also taught English classes privately out of her home. After two years of research, Sabet-Kazilas applied to roughly 20 programs in the U.S. Only a handful of them — PLU included — accepted her BIHE degree. PLU was her top choice. It had everything: national accreditation, an on-site clinic, rigorous academics, an inclusive environment. And its values spoke to her, as well as her faith. A core tenet of Baha’i faith is oneness of humanity, a concept that transcends racial and class divides. The religion disavows prejudice and systemic exploitation — such as racism, sexism and classism — stressing that they are contrary to the unifying vision. Sabet-Kazilas added that the stigma associated with welcoming an Iranian student is often difficult for institutions to move past. At PLU, it was different. “They truly treated me like anyone else,” she said. 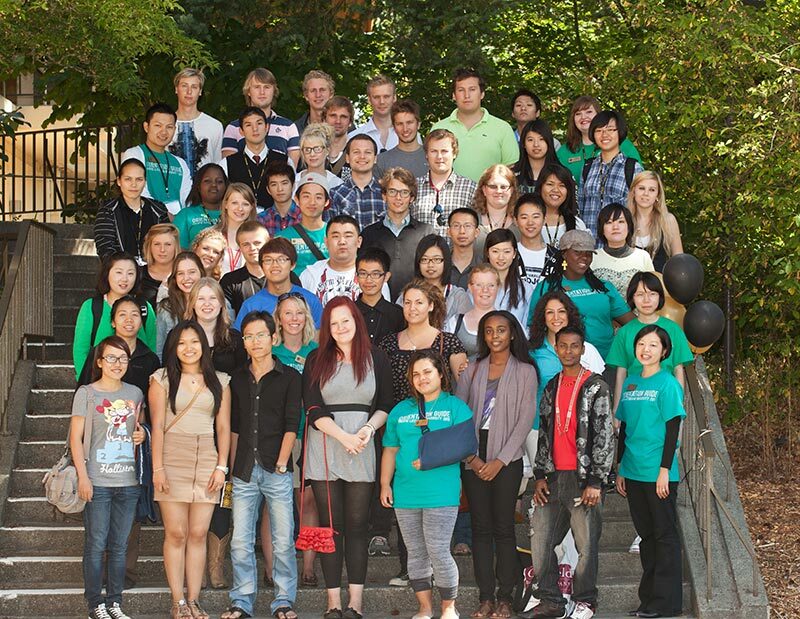 A group shot during international students orientation in 2011. 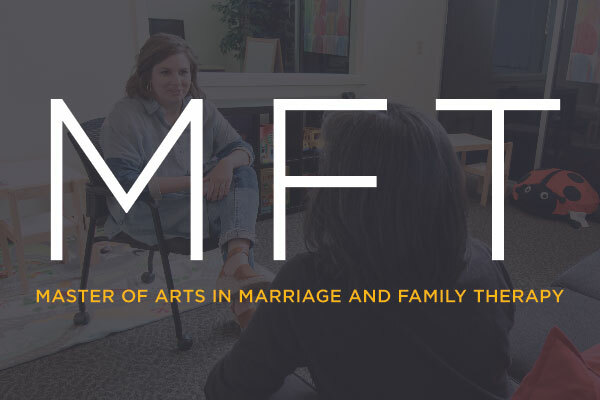 David Ward, director of the university’s Marriage and Family Therapy program, says the MFT cohorts are more valuable when they welcome students such as Sabet-Kazilas. Ward says the field of marriage and family therapy focuses on relationships and contexts as core factors in mental health treatment and relational functioning. “We can only understand ourselves through our interactions with others,” he said. The key is treating the whole person, where they are at, taking into consideration race, gender identity, religion, socioeconomic status, and all other contexts that shape a person. To remain authentic in that pursuit, Ward says it’s imperative that MFT students engage that approach themselves as they learn. In addition to welcoming undergraduates from a variety of disciplines, Ward says they work hard to find students with diverse life experiences. It’s a big reason Sabet-Kazilas stood out, he noted. And MFT students apply those skills as they acquire them, treating community members through The Couple and Family Center, PLU’s on-site clinic. It offers affordable, high-quality care to individuals, couples and families seeking therapy solutions for family, parenting, depression, anxiety, divorce, trauma and more. Graduates of the Marriage and Family Therapy program at PLU tout a 100 percent pass rate on the national licensure exam. “Studying while practicing really made that experience rich,” Sabet-Kazilas said of the program’s clinical component. Clinic services are priced on a sliding scale, which helps serve uninsured people and those who need services not covered by insurance. Students provide about 10,000 hours of direct client care annually both at the clinic and through internships in surrounding communities, Ward said. “Community mental health would come to a halt if programs like ours didn’t exist,” he said. Just as the therapists in training are sitting with their clients in difficult moments in the clinic and internships across Pierce County, they also are sitting with their own vulnerabilities in the classroom. Ward said the cohort model in the MFT program allows students to build trust with their peers in a small group of about 20. Ward says the context surrounding Sabet-Kazilas isn’t just a benefit to the cohort she graduated with; it’s a benefit to her future clients. Sabet-Kazilas acknowledges that her trauma resonates with the growing needs of refugees and immigrants in her newfound home. But she’s also quick to acknowledge her “safety network” — the collective strength that came with experiencing trauma alongside others. And Sabet-Kazilas doesn’t take for granted how fortunate she is to be in a position to use her education in service to others — just as her faith calls her to do. Upon arriving at PLU, she says she photographed everything, from lectures to extracurriculars. A photographer’s daughter, Sabet-Kazilas knew how important it was to capture her history as it unfolded.